The favourite garden centre in Athlone is Fernhill Garden Centre. Fernhill has been so good to the residents of Athlone it may as well be called Garden Centre Athlone! Garden owners love us, advanced gardeners visit us often, and starting out gardeners look to us and our experts to get help with their gardening essentials in Athlone as well as for tips about their plans for the garden. With everything you will ever want for your garden and a team of helpful experts on the premises, we are always ready to serve you. Fernhill Plantsplus Garden Centre Athlone is an independently owned, and superbly run garden centre, based at Athlone, Co Westmeath. We are one of the leading garden centres in Ireland, and as part of the Plantsplus group we have a superb selection of plants and everything else you could need for making your own perfect garden. Visit for yourself and find out why so many gardeners from Athlone come to us every day. Plants: Our nursery is the biggest part of the business. It is where we started and it will always be most special to us. The variety of plants we have in our nursery in Athlone beats all other facilities in the county in terms of quantity as well as quality. We not only have the most plants available, they are also the healthiest and freshest in the county. 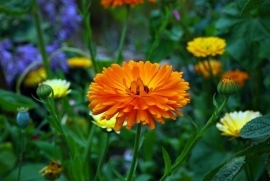 Flowering Plants: Flowers are the greatest treasure any home garden can boast. Their endless array of colours, their lively dance in the wind, and their fragrances appeal to everybody. They give your garden its true beauty, and we have all kinds of plants available in our stock for you. You can get easy-to-grow perennials in Athlone like Mount Fuji and Little Carlow; browse our endless collection of annuals in Athlone like Poppies and Daisies; and get all your favourite bulbs in Athlone, such as Tulips and Daffodils. You can also ask us for beautiful bouquets of cut flowers in Athlone for all occasions. Grow-Your-Own: If you like to grow your fruits and vegetables, we have plenty in store for you. Visit our garden centre in Athlone and you will be able to browse through our seeds, seedlings, plants, vines, shrubs, and even grown trees of your favourite fruits and vegetables. We are truly inspiring people to adapt to grow-your-own in Athlone. Houseplants: Indoor plants in Athlone never came in such a variety before. We have houseplants in Athlone representing all popular categories in our stock, including cacti in Athlone, ferns, succulents, and much more. Grown Trees: We also have displays of many types of trees in Athlone. From architectural trees to set the layout of your garden to ornamental trees with colourful foliage that blooms in winter. Fruit trees in Athlone are also available in our nursery in Athlone. 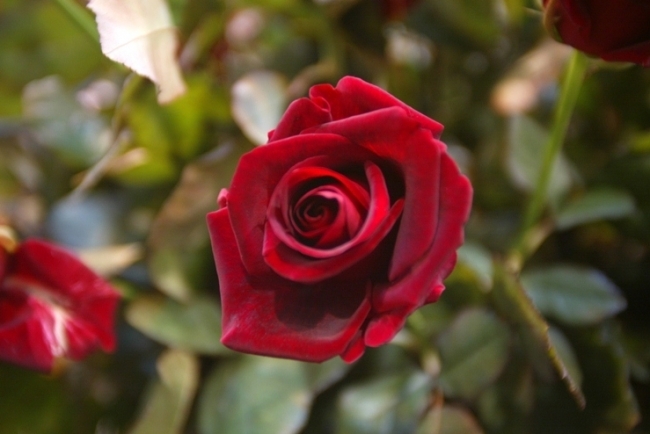 Specials: Apart from these main categories, we also have a wide range of roses in Athlone available in our nursery. They come in various colours, flower types, and plant types, and can be your garden’s most beautiful produce. We also grow special herbs and many kinds of shrubs for beauty as well as health-related benefits. Containers: You can get our endless variety of plants, put many of them in containers, and set them in themes through your patio and driveway. We have a great collection of plant containers in Athlone made out of terracotta and other materials. You can bring out the artist in you and paint them to create a theme of colours and designs for your containers. Garden Clothes: We have a smart collection of clothing items available in our garden centre in Athlone. Our stock for a gardener’s garb is full of practical items to cover your feet and hands in your everyday garden work. We also maintain a broad collection of garden clothes in Athlone that are perfect for the rainy season, including trench coats, jackets, boots, caps, and gloves. Soils & Fertilisers: Your plants will only as healthy as the nutrition they get, and the biggest sources of your plants’ nutrition are the soil it grows in and the fertiliser you put in it. We have various types of top soil in Athlone available in our stock as well as a collection of branded and our own organic fertilisers in Athlone. Garden Tools: To do any of the jobs in your garden that you have just read about, you need proper equipment. We make sure our customers get all the gardening tools they have been looking for. Our stock of garden tools in Athlone extends from the basic tools every gardener needs to the advanced instruments expert gardeners require for special tasks. So, our stock is not just limited to your everyday rakes, spades and hoes. Pest Control: Getting rid of pests is a continued struggle for some gardeners while others learn the right techniques to keep their plots and plants pest-free fast. We have all kinds of products for pest control in Athlone in our stock. From sprays to other deterrents that do not even kill the pests, we have a number of products that you can start using the day you take them home. Protection: Garden protection makes another product category in our garden centre in Athlone. We have a broad collection of cloches in Athlone that you can use to keep your plots safe from rain and elements. You can also get everything you need for fencing in Athlone from our garden centre. Watering: Giving your plants the right amount of water at regular and healthy intervals is necessary for them to grow. We have a range of the best watering cans in Athlone in our inventory that come in various sizes and shapes so you can use the right ones for your various plants with their preferred quantity and flow. We also have electronic watering systems available for your garden that work automatically and keep your plants from getting dry and malnourished. Garden Machinery: We also keep a variety in our stock of garden machinery in Athlone. From electric-powered lawnmowers to petrol-fuelled chainsaws, we have branded machinery available for your gardening needs that require power tools in Athlone. Hard Landscaping: Whether you are starting to design your garden or giving it a major facelift with some hard landscaping in Athlone[S1] , we are here to help. You can find every tool and object you will need available in our display of items used for garden landscaping, including those for building a pond, eating decks, a fence around your plots, etc. Garden Cooking: When you have a beautiful garden, you want to spend more and more time in it and show it off to friends and family. Summer gives you the perfect excuse to do just that. Invite them over for steak and burger party and cook in the best barbecues in Athlone[S2] you can find in our store. However, we have much more than just barbecues available in our growing collection of garden cooking in Athlone. We have bigger units for big barbecue parties just as well as compact ones for small family lunches in the sun. Our stock for outdoor kitchens in Athlone is also growing. Outdoor Furniture: When you have guests over, it would be great to have tea with them in the garden among the flowers and all that greenery. Our growing collection of outdoor furniture in Athlone[S3] can help you get the perfect items for your garden. You can choose from duets, bistros, chair and table sets for up to six persons and weave sofa sets for up to nine persons. Gift Shop: Our gardening gift shop in Athlone is the favourite spot for people with gardeners in the family. You can get spectacular garden ornaments, rare plants, and other items for the gardener in your friends or family on their special day. If they are picky, you can even get them gift vouchers that come in beautiful greeting cards for all occasions. Pet Care: Your pets need care and we are here to help you deliver it. We have tonnes of items for pet care in Athlone, including feed and beds for cats, birds, puppies, fish, and other common pets. Fernhill Garden Centre Athlone is a family run business that was established in 1977 by the Reid Family. The Garden Centre has developed and grown rapidly in the past 10 years to become recognised as one of Ireland’s leading Garden Centres. The Garden Centre has received several awards in the past and this year we are proud to say that Fernhill has achieved a 5-Star Award under the Bord Bia Garden Centre Quailty Programme for 2011/12. While variety helps us not disappoint customers, product and service quality is also very important for getting customers to buy from us again. This is why the products we keep in stock have to come from brands and manufacturers who are trusted by gardeners in Britain. We test every new product line and add it to our inventory only if satisfies our high standards of quality. After all, keeping our customers satisfied with what they get from us is the most important thing for us. 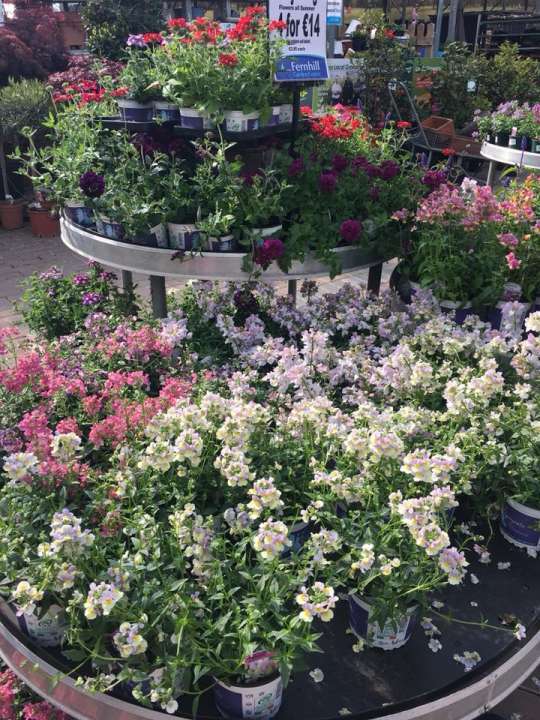 Fernhill Garden Centre Athlone, Co Westmeath, in the centre of Ireland - offering a large range of garden products and services in our Garden Centre and in our five acres of display grounds. We provide free garden advice and a comprehensive range of garden design services and demonstrations for the garden enthusiast. Our experts are always available to help answer any questions our visitors might have for them. Once you tell them about your preferences and objectives, they will guide you to the products in our stock that fit your needs best. They are also great advisors on everything gardening. So, come see them with any questions you might have about your garden or skills. Visit us soon and get the best gardening essentials from your very own garden centre in Athlone!